With farmland recently selling for more than $21,000 an acre in Iowa, saving $5.93 an acre may seem like a drop in the bucket. But paying attention to dollars and cents makes great sense to Cresco, Iowa strip-tiller Frank Moore, who’s been farming for more than 35 years. Like an increasing number of strip-tillers, Moore splits his applications of nitrogen. In the fall, a custom applicator bands 15 pounds of nitrogen with DAP on soybean ground. After planting corn, Moore applies 30 pounds of nitrogen in the form of liquid 28%. The liquid nitrogen serves as a carrier for the herbicide and also helps as a burndown on small weeds, he says. 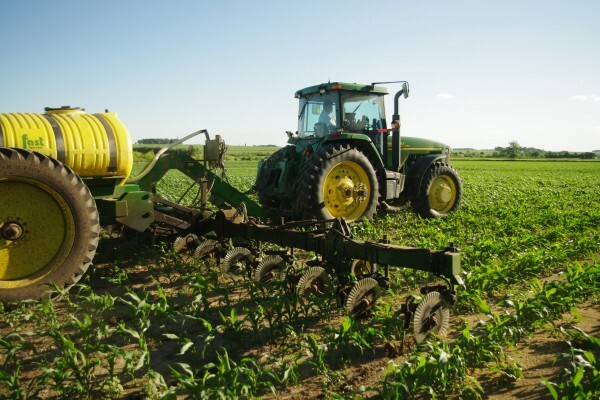 When the corn is 6 to 12 inches high, Moore relies on a system from Cornell University to make an economically sound decision on how much nitrogen to sidedress. 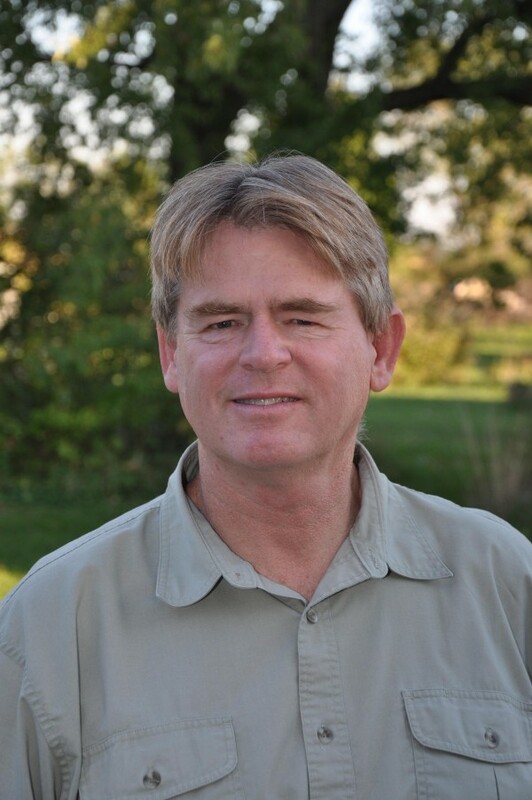 Moore is a certified crop adviser and technical service provider in Iowa and Minnesota with the NRCS. He’s not only interested in how to apply the right rate of nitrogen for his corn, but also that of his clients. Starting last year and again this year, Moore and four other independent crop consultants from Iowa evaluated Cornell University’s Adapt-N formula. By using daily weather information and factoring in soil-organic matter and soil types, Adapt-N enables farmers to determine how much nitrogen to sidedress and whether it’s profitable to do so. Moore says Adapt-N helps farmers answer two major questions: First, how much of the nitrogen that you applied is still in the soil for the corn? Second, do you need to apply more nitrogen? “Taking the real-time weather information, the formula gives you an answer that says, ‘As of today, with these conditions, we think you need more nitrogen, and here’s how much to sidedress,’’’ Moore explains. As much as Moore relies on technology and loves to evaluate new practices that save and make money, he doesn’t blindly follow all of what the Adapt-N formula recommends. Last summer, the formula called for zero additional nitrogen in one corn field, which raised red flags with Moore. So in that field he compared zero additional nitrogen vs. 45 pounds vs. 75 pounds sidedressed. SAVING MONEY. This year, Iowa strip-tiller Frank Moore saved $5.93 per acre in a field where he sidedressed no nitrogen vs. a treatment with 75 pounds of nitrogen that yielded about 9.4 bushels more. This was the second consecutive year that Moore used Cornell University’s Adapt-N program, which calculates if previously applied nitrogen remains in the ground and how much more the corn may need. The results were 150.4 bushels where he applied zero nitrogen, 159 bushels for 45 pounds and almost 160 bushels for 75 pounds of nitrogen. But Moore cautions that doesn’t mean his farm made more money. When he decided whether to sidedress nitrogen and how much to apply, corn for fall delivery was $5.75 a bushel. Here’s how the economics worked out: On the lower yield, Moore didn’t harvest an additional 9.4 bushels of corn, which was worth $5.75 per bushel back in early June. That foregone income amounted to a loss of just over $54 per acre. However, applying 25 gallons per acre (74.2 pounds) of 28% nitrogen, at $0.65 cents per pound, cost $48.23. So the fertilizer savings of $48.23 per acre and the application cost of $11.25 totals $59.98 per acre. Moore says Adapt-N helps strip-tillers see how much sidedressed nitrogen the corn will take up. CUSTOM STRIP-TILL. For the past 5 years, Iowa strip-tiller Frank Moore has had a custom applicator strip-till his soybean ground, banding potash and DAP. It typically takes about 5 days to strip-till 950 acres with the 16-row Blu-Jet with a dry fertilizer cart. The applicator uses RTK. Adapt-N take these biological processes that are occurring and it sees if the soil is releasing or holding onto the nitrogen, Moore says. Strictly from a standpoint of nitrogen leaching from fall application, spring application of hog manure may be preferred, Moore says. Two key factors in determining how much nitrogen to apply with the Adapt-N formula are the soil organic matter and soil type, Moore says. By changing those two variables, nitrogen recommendations can change significantly. Moore has been strip-tilling corn-on-soybean ground for about 5 years, having the strips custom built in the fall. This fall, the applicator used a 16-row Blu-Jet strip-till unit on 30-inch spacings, along with a dry fertilizer cart for potash and DAP. 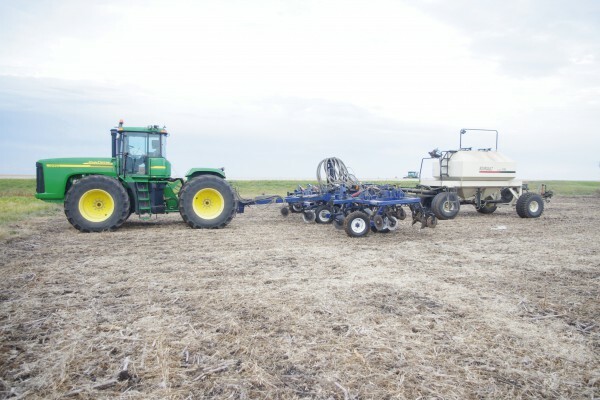 The applicator uses RTK and pulls the strip-till rig and fertilizer cart with a Deere 9900 tractor with four-wheel-drive. Moore says there haven’t been any problems with the berms inverting. Moore says that Cornell constantly refines the Adapt-N program based on field results and recommendations from consultants like MGT, the three other Iowa interdependent crop consultants whom he works with.